An outstanding door furniture collection to adorn your interior or exterior doors. High end quality door fittings at affordable prices. Discounts apply to all our products and look out for our special offers! 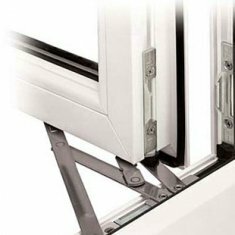 Our catalogue of upvc door furniture products has everything you need for a front door from upvc door handles and letterboxes to the door numbers and knockers. Everything black antique hardware from door bells to door handles, letterplates, door numbers, key-hole covers and hinges! Pewter effect is an ideal choice for the period look, and here we spare nothing in pursuit of stocking a comprehensive range including letterplates, door handles and more! A range of longstanding upvc letterboxes and general letterplates are available in a 10 inch, 12 inch and 12 inch slimline size. 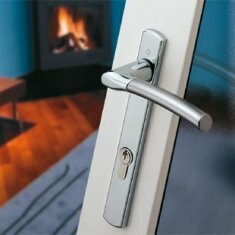 A truly great range of lever door handles including lever on rose and lever on backplate options. Not forgetting the bathroom, latch, lock and euro cylinder options. Plenty of door latches available from stock in various sizes, colours and security levels. 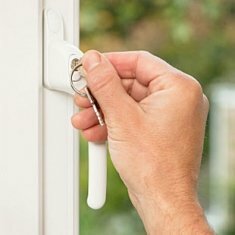 Don't miss the offer of latches with your door handles! 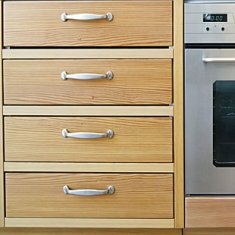 Rim knobs can come in all types of design and here we reflect the most popular choices for replacement on existing or new rim locks and doors. Sold as a pair. Door stops come in all shapes and sizes and our range tries to cover them all. Whether wall mounted, sprung or floor mounted door stops then check out our range of styles and colours. Door closers for everyday use in commercial and residential applications. Range includes fixed and adjustable power sizes and popular finishes. 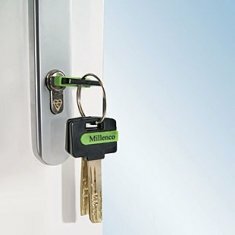 See our range of escutcheons for door locks. 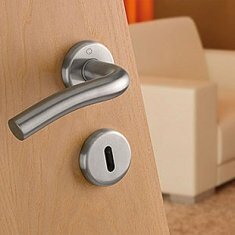 Whether thumbturns or lock covers for euro cylinders, mortice locks or just general tidiness this range has it all. A fabulous selection of door knobs is available for interior doors whether contemporary or period design. Sold as pairs and great value for money! Chains for doors are such an important requirement for front doors and yet so many people overlook them. Improve your security now with this great range of door chains. Got a upvc door? Then these door knockers are for you. Our 6 inch Victorian Urn models use an innovative fixing method for easy replacement. Finish off the look of your front door with these presentable door numerals. Eye catching in a 3 inch size and easy to fix using the screws provided. A comprehensive range of traditional and contemporary bell pushes are now available in exciting colour finishes. 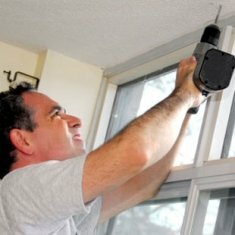 Replacing your existing bell front is easier than ever. 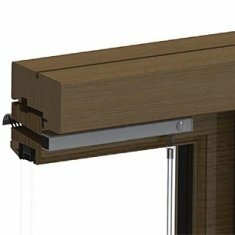 Check out our colour coordinated ranges of door furniture for upvc and timber front doors. We've chosen some of the best matching products for curb appeal.